My 03 4x4 has had the ABS light on since purchase. I went to O'Reilly and a local brake place to have the light scanned and they said it's not connecting and I have to go to the dealer. My dealer wants $130 to scan the codes. I'm not noticing any issues with the braking but want to just get the issue resolved. Is there a reason why the ABS wouldn't connect (as in the module being read is bad) or is this something I'm simply going to have bite the bullet on as only Nissan can scan? Have you looked to see if its plugged up or maybe the wire cut. I would do a thorough inspection before taking it up to nissan. Could also be worn brakes too. I've noticed mine would come on once in a blue moon but would go away when I shut the truck off. Hasn't done it in a while. Plugged up? I'm not even sure where to look. 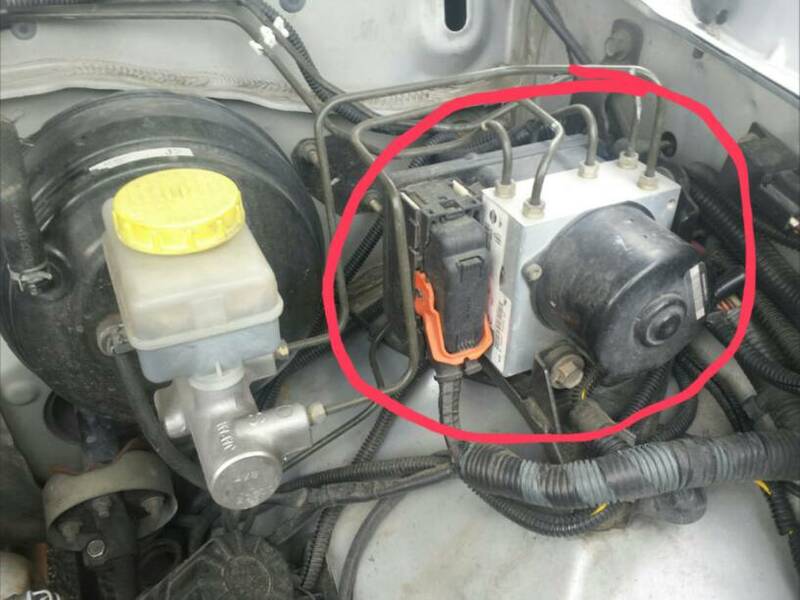 Is it the same connector as the OBD II port? My truck is a 2004 2wd 4 cyl but here's a pic of my ABS module. The wire harness for mine has the orange handle. Last edited by butterman2473; 01-07-2019 at 02:38 PM. Lol you meant literally plugged up. I was thinking clogged up like a pipe. Thanks! Negative. That's what @Stephanie Cap meant. I finally broke down and had the dealer scan the code. They said nothing is wrong and the code went away after scanning. I find that interesting but accept their conclusions. They said if it comes back on, I’ll be in need of an ABS actuator. I can’t seem to find that at local parts stores. 2003 CC LB 4x4....and it's green. It's a dealer part and ridiculously expensive. You're better off getting a used one if you need one. If not solved yet check the sensors to see if they are seated ….had trouble with my 03 when rust and dirt kept the sensor from seating correctly, took them out and cleaned up around the hole so sensor could seat correctly.